Your transaction has been completed, and a receipt for your purchase has been emailed to your email address. I’ve created and sent you the password by email just a moment ago. Use it to log into the Download Center where you can find your software and its license key. Make sure to check your Spam/Junk folders as emails can be delivered in there sometimes. If you do not receive my email within 15-30 minutes please contact my support team. Click the button below to login to the Download Center. After you download the software make sure you watch this short 10-minute video to learn how the installation is done. It’s really simple and takes just a couple of minutes once you learn it. Wanna copy my winning trades from MT4 investor password account? With the Local Trade Copier, you can copy trades from any MT4 account if you have its investor password or main password. 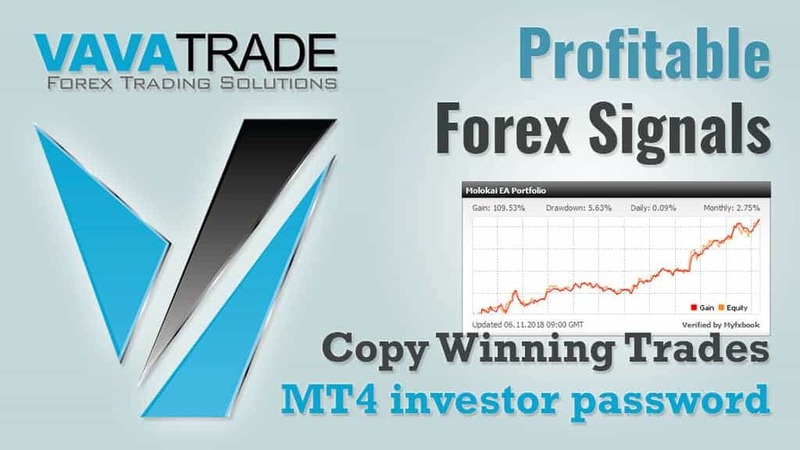 Sign-up on Vavatrade to copy winning Forex trades from MT4 account via investor password. Local Trade Copier users get a special price!